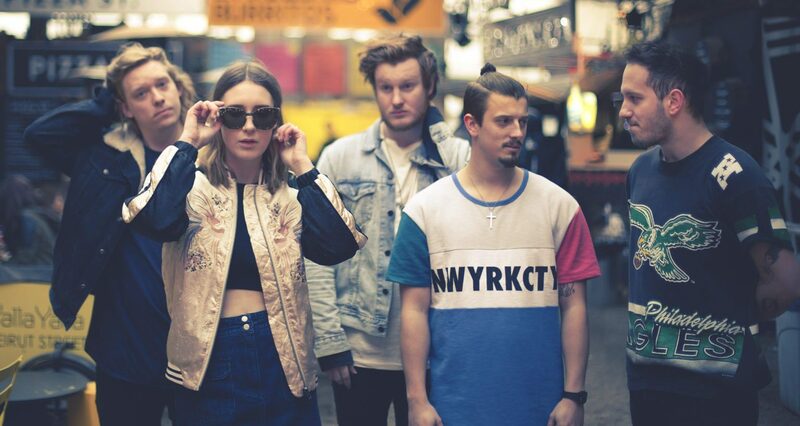 Fickle Friends' debut is a breath of fresh air for British pop. Back in 2016, Fickle Friends declared their intent to spearhead an “alternative-pop renaissance”, and like all good artists, they’ve kept us waiting for their masterpiece. Four years, two EPs and twelve singles after their genesis, the Brighton five-piece have finally released their debut album, You Are Someone Else, a record that prickles with energy and excitement. Quite simply, it is something else – a fresh and flavoursome rethinking of pop. 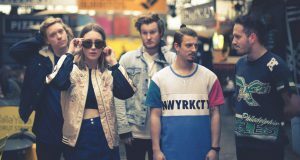 “We’re just super ambitious,” lead singer Natt Shiner told The Edge last year; she deems Fickle Friends “an indie band that likes pop music”. Admittedly, it doesn’t sound all that revolutionary on the surface, but at a time when pop has stagnated, You Are Someone Else is a breath of fresh air. Fickle Friends avoid the recycled mundanity of bands like Little Mix, but ensure their focus is on creating something fundamentally fun – something the pioneers of a PC Music renaissance should remember. And behind their creativity, there’s a real work ethic to Fickle Friends. Having toured extensively, the group established a name for themselves the hard way, and only signed to Polydor Records in early 2016. They first turned student heads a whole year earlier, when they earned a place on our List for 2015 for their debut single ‘Swim’ – a track that’s actually made it onto the final sixteen-track album. Sixteen is luxurious for a debut, but, twelve singles in, we’ve heard a lot of You Are Someone Else before. Fan favourites ‘Glue’, ‘Brooklyn’ and ‘Say No More’ are enjoyable for a revisit, but are largely skippable on return listens. However, there’s still nine nuggets of newness to drink up, each of which successfully adds a new dimension to Fickle Friends’ sugar-pop sound. Where singles such as ‘Swim’ and ‘Brooklyn’ could be criticised for their similarities, album tracks like ‘Lovesick’ and ‘Heartbroken’ expand Fickle Friends’ sound and evidence that they’re capable of more than just summery bangers. The album flows effortlessly between tracks, largely thanks to Shiner’s distinctive sugar-sweet vocals. The production seems to have stepped up a gear, too, thanks to the influence of Mike Crossley (of Arctic Monkeys and The 1975 fame). From powerful highs (‘She’ and ‘Bite’) to slower moments (‘In My Head’ and ‘Paris’), You Are Someone Else showcases a new versatility from the indie-pop group. A rainbow of sounds, this portrait of Fickle Friends could pave the way to their “alternative-pop renaissance”. For the sake of the music industry, let’s hope so.